From the creative minds behind Blackbird Ensemble, comes a new show that explores our future selves – the selves that now prefer comfort over fashion, velcro over laces, and the long story over the short. These old folks have journeyed far, and have come back to impart their wisdom to you through song. 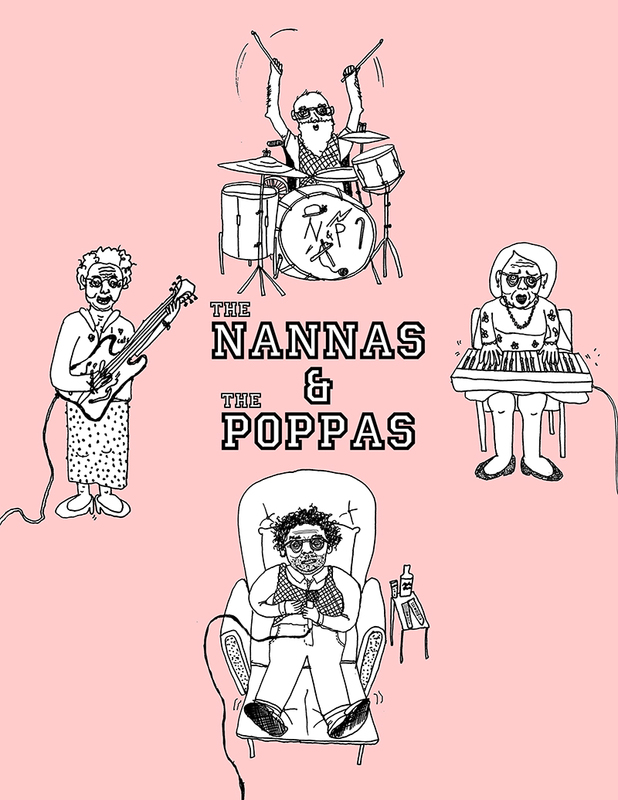 The Nannas and the Poppas are a rogue band of geriatric rockers from the year 2067. When their retirement village’s mini-van accidentally circled the Panmure roundabout too many times, a rip in the space-time continuum was opened, and it’s elderly occupants were transported 50 years into the past. With this newfound gateway to their youth, the musicians decided to relive their glory days and take to the stage for one last hurrah. Performing all the hits, with a new take on classics from Celine D, to MJ, to Queen B herself, they’ll be sure to get you doing the Nanna twist in the aisles.